Today’s Ishq Subhan Allah Episode starts with Kabir and Zara have sweet moments as starts scooty riding, Kabir sits behind her, Zara laughs and enjoys the ride. She hugs Kabir and says I Love You, Thank You So Much. Kabir is surprised but hugs her back. Zara sees Miraj glaring at them. She is tensed and loosen her grip on Kabir. Kabir welcomes him, Miraj congratulates Zara for new scooty. Miraj says I woke up early to pray, Kabir shows the key to Miraj and says I bought this for my wife. 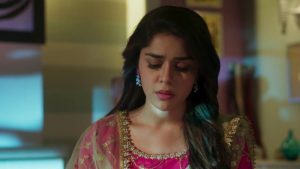 Miraj says drive safely, you know people die of the road accident in Lucknow every hour, Kabir tells Miraj not to scare Zara, but Zara drive safely, if anything happens to you then what will happen to me? She leaves to make breakfast, Kabir says I will go and have breakfast, Miraj says to himself, that Zara now you have made if more challenging for me to get you in my life. Miraj says she has made a game interesting, the one who wins will win the world. All sit down for breakfast. Miraj asks where are Kabir and Zara? Zeenat says Kabir doesn’t come to table till his wife allow him. Nilofar says where they went early morning? Ayesha says they will come back after two days. Miraj says we have a lot of work, did he tell you where he is going? Ayesha says no he didn’t tell. Miraj thinks where they went. Miraj is upset and wonders here have they gone. Zara and Kabir have romantic moments as they ride the scooty together, Imran and Reema also join them. They come to a hill and take pictures, Zara hugs Kabir, They have two scooties and ride them all the way. They stop to have snacks, Zara thinks to tell Miraj’s truth to Kabir, as Miraj is not around, Zara asks Kabir for something he says I am here for you to make you happy, Zara says until our second and third divorce, or till I die, can I be around you at home or at work, can you give me this happiness, Kabir agrees. Zara says to herself that no danger can touch Kabir till I am there with him. Imran, Reema, Kabir, and Zara have fun drinking chaos. Miraj makes a call to trace Kabir’s location and orders the guy to kill him. 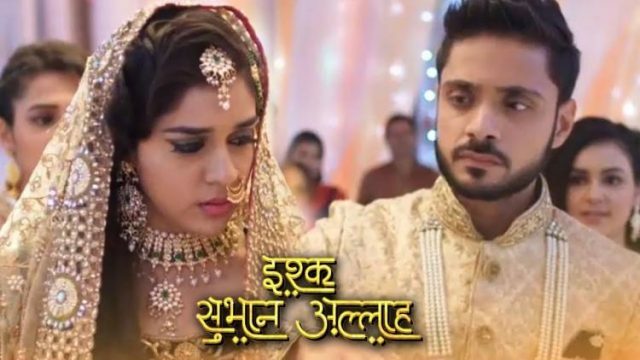 Nilofar tells him that Zara plays her move after a lot of calculation and you take hasty decisions, your one wrong move will bring troubles for you, he says first separate Zara and Kabir and does what you have to do later. Miraj says now, whatever happens, Kabir has to die. All four of them go to the mosque to pray, Zara prays that any danger that comes in Kabir’s way, she should face it. Zara gets a message from Miraj that she does not leave Kabir alone. Kabir and Zara are enjoying the bike ride, a man is following them, he tells Miraj that they both are together and hence they will have to kill both and not just one person, a truck is chasing their scooty Kabir notices the truck behind. Nilofar tells him not to kill Kabir, he will be in trouble, Miraj orders to kill them both, Nilofar tries to stop him but he laughs, Kabir dodges the truck behind.